Point #1: That a competent bloodstain pattern analyst should have an educational foundation that includes scientific principles is something with which I strongly agree. I think we should be careful, however, not to interpret this recommendation to mean that the analyst needs an advanced degree in one of the hard sciences (biology, physics, mathematics, chemistry, etc.). I know a number of people who have obtained such degrees, but would not make good bloodstain pattern analysts. What is important is an understanding of scientific method to include objectivity vs. subjectivity; the development and testing of hypotheses and theories; and the application of the concepts of accuracy and precision. Also necessary (but conspicuously absent from the report) is a strong grasp of such critical thinking principles as cognitive dissonance, human perception, and confirmation bias. Point #2: Although there is not as yet a total consensus on the terminology employed in the discipline of bloodstain pattern analysis, any introductory or basic class will introduce the student to terminology that is currently accepted in the field. I believe that a consensus is needed and should be reached in the near future. I also believe that students and veterans alike should be using terminology that is accepted and understood by all analysts. Ross Gardner and Tom Bevel have made a strong attempt to move in that direction by proposing a bloodstain pattern analysis taxonomy that is both scientific and easily applied to case work. Further study should be made in this area. Point #3: Any competent bloodstain pattern analyst understands the basic use of calculators, protractors, and lasers as they apply to the discipline. He or she may not, however, fully appreciate the limitations of these tools, or the degree of human error that can be involved in their use. Here, again, is where a foundational scientific education can be quite beneficial. Without such an understanding, the analyst is in danger of overstating, or applying too great a degree of precision to his or her conclusions. Point #4: An understanding of applied mathematics and such concepts as significant figures is also necessary. The math is, of course, needed for determining impact angles and points of convergence and origin. The understanding of significant figures goes toward keeping the analyst from reporting conclusions with too high a level of precision. A basic bloodstain course teaches the minimum applied mathematics necessary for bloodstain pattern analysis; although, a full understanding of how the math works could better be gained by a general course in applied math, as could an understanding of significant figures. Point #5: The fifth requirement recommended by the National Academy is an understanding of the physics of fluid transfer. This, of course, does not mean that the analyst needs a degree in physics; it means that the analyst should have an understanding of the physical properties of liquid blood and how these properties apply to such phenomena as transfer patterns; blood flow, both with and against the flow of gravity (capillary action); and the behavior of blood droplets in flight (overall spherical shape with slight undulation due to air resistance and initial dispersion force). I agree that a basic understanding of these properties of liquid blood is necessary knowledge for the bloodstain pattern analyst, if only to understand the limitations of the analysis. Point #6: Wound pathology is another important area of familiarity for the bloodstain pattern analyst. Luckily, the analyst has access to autopsy reports and, in most cases, medical examiners and doctors, to help explain the mechanism of wounding in the particular case under investigation. Beyond this, however, the analyst needs his or her own foundational knowledge in this area. This knowledge can be gained with study (not merely reading) of some comprehensive texts on wound pathology and possibly a class on anatomy and physiology. Such study of the subject, along with access to experts in the area, should provide a sufficient background for the analyst. Point #7: The seventh point addresses what comprises the substance of any basic bloodstain pattern analysis course: the patterns that liquid blood creates when it comes in contact with a target surface. As such, this requirement is usually met by any competent student that graduates such a course. As with many of the forensic disciplines addressed in the National Academy of Sciences report, much of the deficiency implicated in the discipline of bloodstain pattern analysis lies not with the discipline itself, but rather with the analyst who lacks an understanding of scientific principles and who has an inadequate grasp of critical thinking skills. But education in these areas is not enough. In addition to an understanding of scientific principles and critical thinking, a successful analyst must possess a good quantity of common sense and extensive practical experience in the discipline. Most of us have personal contact with people who can produce a piece of paper that shows that they graduated from an institution of higher learning with a degree in one of the sciences; yet, they are not capable of fully understanding and displaying the skills necessary for a forensic discipline such as bloodstain pattern analysis. Practical experience and common sense are crucial elements of bloodstain pattern analysis; as are a sense of integrity, a healthy curiosity, and a motivation that springs from a quest for the truth, not from a desire to please the person who is signing the paycheck. Science is not only important, but essential. But let us not be taken in by the idea that a scientific education is a cure-all for the deficiencies that may be encountered in the examiners who analyze bloodstain patterns. Our court system is an adversarial system. I believe we should take advantage of that fact and continue to counter ineffective analysts with competent, experienced analysts. And in the end, let the jury decide. Jeff Saviano is a Certified Forensic Consultant who has been involved in the Examination and Evaluation of Forensic Evidence for over 26 years. Mr. Saviano has testified in both state and federal jurisdictions as an expert in several forensic disciplines. 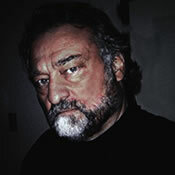 As a forensic examiner and consultant, he has worked on cases originating in Arizona, Colorado, Georgia, Nevada, and Washington.